Your smart home just got smarter. That's because a wide range of LG smart appliances are now compatible with Google Home, thanks to the Google Assistant. 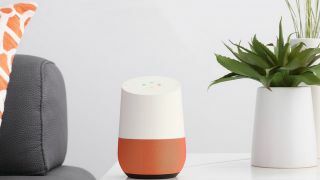 LG announced today that nearly 87 of its Wi-Fi connected home goods can now tap into Google Assistant through Google Home as well as eligible iOS and Android smartphones. Support will roll out globally to compatible models via an update, LG tells us, and the exact number of compatible devices varies by region. Types of appliances that gain Assistant support include LG washing machines, dryers, refrigerators, ovens, dishwashers, vacuums and air purifiers. Now, when a user utters a command to Google Assistant through Google Home or their smartphone, they can ask the fridge to make more ice, find out how much time their clothes have left in the wash, turn off the oven, adjust the thermostat on the AC or check the air quality coming through their air purifier. This brings another layer of integration to the Google Home ecosystem, and, if you don't mind saying commands out loud, extra convenience if you've got smart appliances you want to control remotely. As part of the Google Home welcome party, LG is running a retail promotion that basically nabs you one of Google's smart speakers for free. Whenever anyone in the US purchases a Wi-Fi enabled LG appliance between October 8 and October 25, they'll walk out the store with a Google Home at no extra charge. There's a limit of free Home per household, but considering the speaker costs $129 (£129, around AU$170), that's not a bad door prize.